Is your CD/DVD scratched? Or has it suffered any other physical damage? Recover the data from any such damaged CD, DVD, HD DVD, Blu-Ray, and more such storage media, with free CD Recovery Toolbox. CDs and DVDs are used by many to backup their data including files, photos, movies and more. These are valubale backups and may be needed to restore the lost original files/data. When the CDs and DVDs suffer physical damage, it is imperative to recover the data and copy it to newer storage devices. 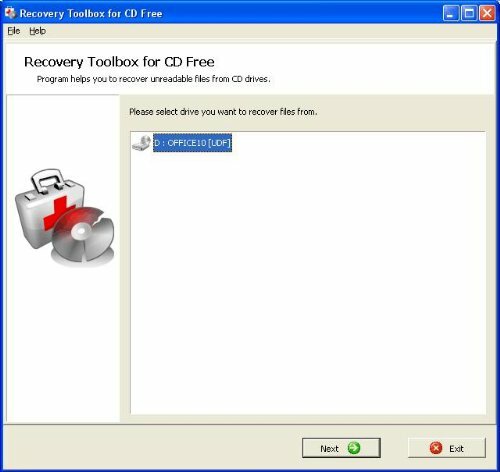 CD Recovery Toolbox is a free software that helps in recovering data from such damaged CDs and DVDs. However, the success of any such recovery depends on the extent of damage to the CDs or DVDs. 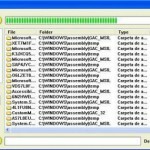 The program scans the damaged CD/DVD and lists all files and folders that can be recovered. 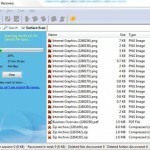 The user can then select the files to be recovered. The software recovers the maximum amount of information from damaged files, thereby reducing the risk of data loss. CD Recovery Toolbox is a free and a wizard based user friendly software. It can recover data from any CD or DVD and can recover even files larger than 4GB. It can even detect whether your PC has enough space to store the recovered files. How to recover data from damaged CDs or DVDs? CD Recovery Toolbox recovers the files from the damaged CD or DVD and saves them to the destination directory. Free download CD Recovery Toolbox and enjoy the free CD and DVD recovery software .